STRANGE BEASTS V: SHIN BEASTS – Godzilla Art Exhibition - Funimation - Blog! 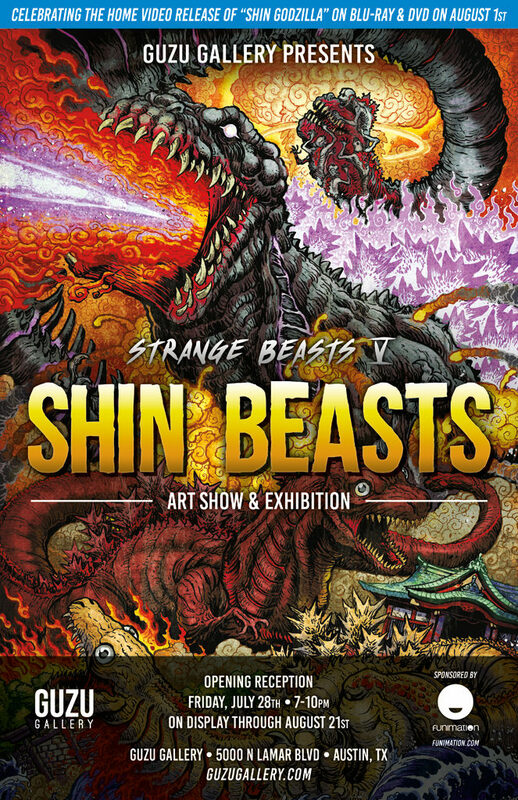 Godzilla, King of the Monsters, is headed to Austin for “Strange Beasts V: Shin Beasts” art show and exhibition at Guzu Gallery – a special “SHIN GODZILLA” inspired edition of the annual event celebrating the film’s North American home video release on August 1. Funimation is sponsoring “Strange Beasts V: Shin Beasts” and its Opening Night Party which will take place on Friday, July 28 from 7:00-10:00 p.m. Guests will enjoy new and original works of kaiju art from 14 local, national and international artists, including, legendary sci-fi and fantasy artist Bob Eggleton who will also be appearing in-person as a celebrity guest. As part of the opening event, Funimation will be distributing a select number of limited-edition posters of a commissioned Godzilla artwork created by nationally-renowned kaiju artist and Austin-area resident Matt Frank. The art show and exhibition will also feature a special display of Bandai and X-Plus Japanese import Godzilla action figures courtesy of toy distributor Bluefin. Some of these figures will be available for purchase. “Strange Beasts V: Shin Beasts” will be on display from July 28 – August 21, 2017. The artists participating in “Strange Beasts V: Shin Beasts” are as follows. A complete list of art bios is available at the end of this release. “SHIN GODZILLA” was co-directed by Hideaki Anno (creator of “Evangelion”) and Shinji Higuchi (director of “Attack on Titan” live action movies) and is the 29th film produced by Toho Co., Ltd. in the iconic science fiction monster franchise. The film grossed more than $1.9M at the box office during its North American theatrical release last October. “SHIN GODZILLA” will be released on August 1 and is available in both DVD and Blu-ray/DVD Combo + UV editions. 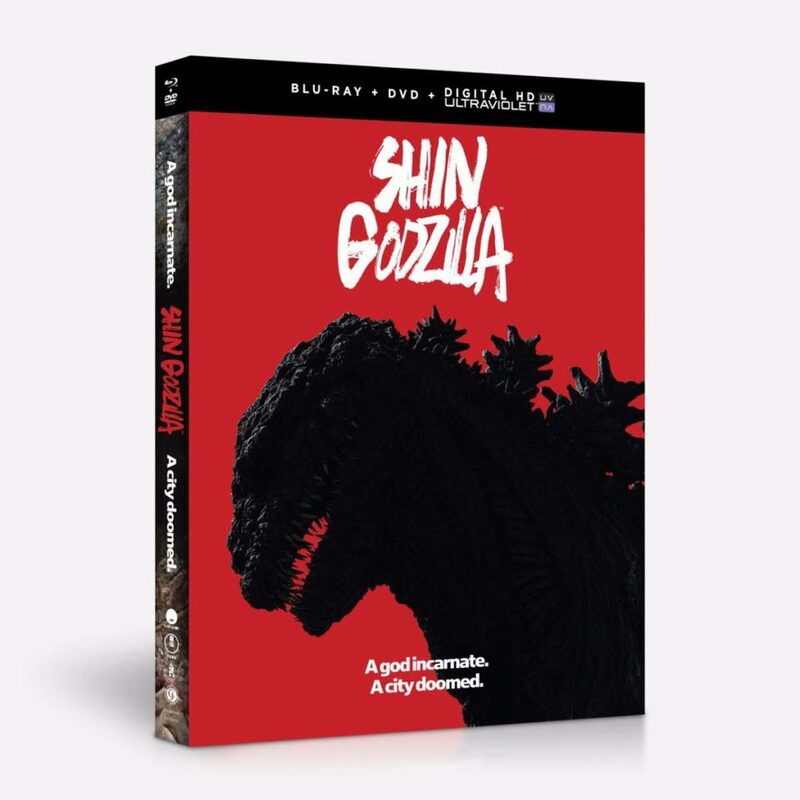 Both editions are available for pre-order at funimation.com/shingodzilla. Fruba fans! Send a thank you to mangaka Takaya-sensei! Here’s what we’ve got planned for Fruits Basket and Code Geass at Anime Boston and Sakura-Con! Funimation is Going Big at FAN EXPO Dallas 2019! ©2017-18 Funimation Productions, LLC. All Rights Reserved.